It’s Wednesday as you read this. It’s Tuesday evening as I type this. I have no idea how the world looks today. 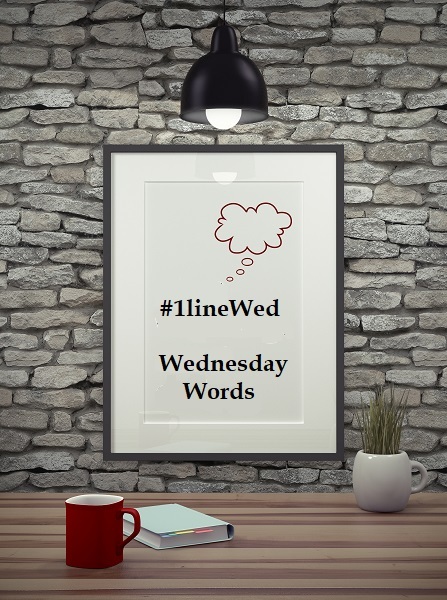 Interesting that the THEME for #1lineWed is **TRUST**. I trust the world is still spinning. I trust that those incessant (and irritating) political calls and doorbell rings will stop. In the meantime, back to writing because that’s what’s important in my world. As mentioned, today’s theme is TRUST. Trust me when I say Jennifer “Jen” Hall, the heroine of Nightriders #5 (Wizard), needs to verify loooong before she trusts in this snippet. Give him what he wants and just do what they say? Seriously? Had my big brother just order me to pimp myself out for the sake of his job? He sounded pretty damn sure of himself. Those are my trusty words and if you find me trustworthy, I hope you trust that I’ll get this book finished sooner than later. In the meantime, do you have any trust words to share? This entry was posted in Writing Life and tagged #1lineWed, characters, inspiration, Nightriders MC, quotes, series, snippet, WIPs, writing. Bookmark the permalink. Awesomesauce! And yes, I trust you will get this book done. I’ll get mine done, too. I edited something about trust this morning, but I don’t want to go looking for it and throw off my groove. I think it was just before the part that made me sniffle and I don’t need to go through that again. Onward! No getting out of the grove! Grooves are important. I just wish I could find mine. 😉 Upward!